Изд.3-е, dop. — SPb. : BHV-Санкт-Петербург. 2003. — 487с. 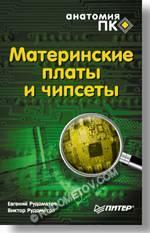 PC: Overclocking, Optimization and Tuning "2-nd Edition"> V., Rudometov E.
A-List, 2002. - 496 pages. 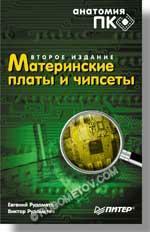 PC: Overclocking, Optimization and Tuning ""> V., Rudometov E.
"PC: Overclocking, Optimization and Tuning"
A-List, 2001. - 410 pages. Изд.2-е, dop. — SPb. : BHV-Санкт-Петербург. 2000. — 336с. SPb: BHV-Санкт-Петербург. 1999. — 256 with. SPb. : Peter, 2001, 512 with. Izd. 3, dop. — SPb. : Peter, 2002, 35 2 with. Izd. 2, dop. — SPb. : Peter, 2001, 352 with. SPb. : Peter, 2000, 256 with. SPb: Peter, 2000, 416 with. SPb: Peter, 1999, 352 with. M: "nuclear heating plant"; SPb: "Polygon", 2000.-224s. M: "nuclear heating plant"; SPb: "Polygon", 2000.-208s. Izd. 3, dop.-Spb: "Parchment", 1998.-256s. Izd. 2, dop.-Spb: "Parchment", 1997.-224s.